Discover the benefits of marble flooring. Marble is a material known around the world for its use in famous statues, but it can also serve great purpose in your home. It’s a natural material that’s quarried from mountains, and it’s known for its beauty and shining appearance. In addition to its good looks, marble is a durable material that is stronger and less porous than limestone. Although it’s great for statues, here are some benefits of installing marble floors in your home. There’s just something sophisticated and stately about marble flooring. It goes a long way toward elevating the entire feel and style of the space. Marble has an air of regality and it’s associated with some of the world’s greatest and most well-known architectural pieces. 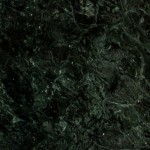 Marble is also known for its variety and multicolor mixes that are available to complement any décor. You can even cut the tile into various shapes to create mosaic installations. Although many people can have marble flooring, you will still have a one-of-a-kind floor. That’s because marble is a natural material, which means that the colors and patterns of each floor are distinct and unique. The nature of the element brings the energy of the outdoors right into your home, in a refine and upscale way. The translucence allows light to penetrate through the marble, which brings more light and vibrancy into the space. When marble is treated properly, it can even take on a shimmering look. The smooth texture and glossy finish invoke elegance as well as distinction. Marble isn’t just about looks – it has a practical use as well. Marble flooring is a great conductor of heat. This means that you can install below-surface radiant heating systems to keep your home efficiently warm and comfortable. This can be especially luxurious in bathroom applications and is particularly appreciated during the winter months. In some cases, it may also be possible to install radiant cooling systems for enhanced comfort I the summer. This entry was posted on Friday, September 7th, 2018 at 2:51 pm. Both comments and pings are currently closed.